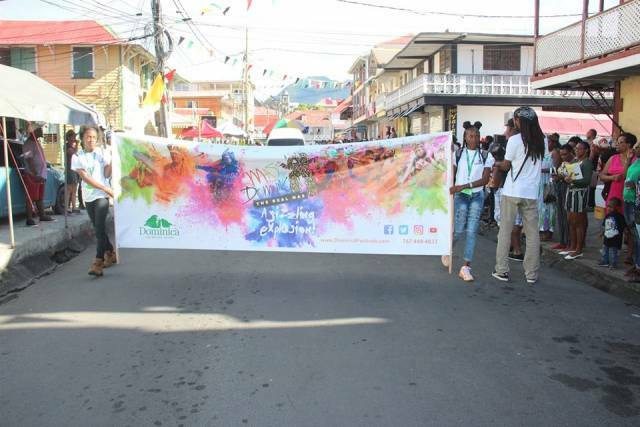 Dominica’s Carnival The Real Mas kicked off with the National Parade and Official Opening on Saturday January 19th 2019, with a splash of: color; a variety of music; stilt walkers; cheerleaders and; masqueraders. The parade offered a glimpse into the city’s heritage by showcasing a taste of the cultural life. The display included carnival king and queen and new participants. 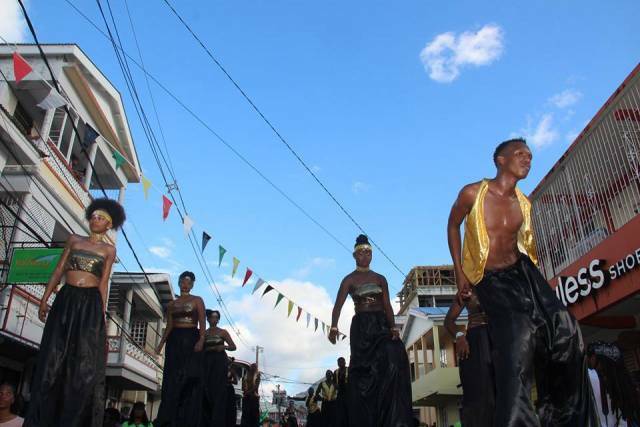 This year’s Carnival celebration dubbed ‘A Sizzling Explosion’ will run from January 19th until March 6th with the last official activity being Téwé Vaval in the Kalinago Territory and Dublanc village. 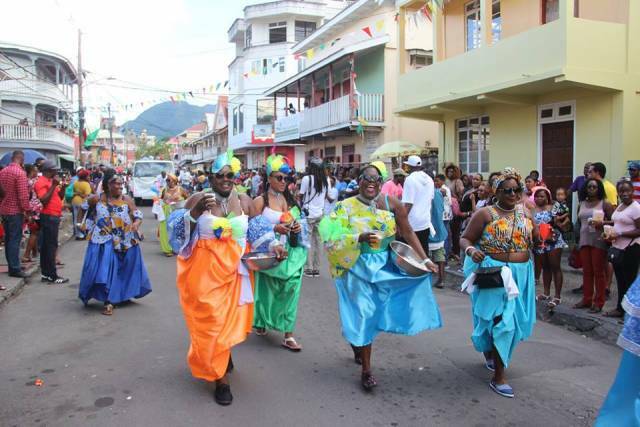 Dominica’s Carnival is a grassroots activity that brings attention to the economic opportunity available to Dominica through travel and tourism and the public involvement in celebrating its cultural heritage as a people. 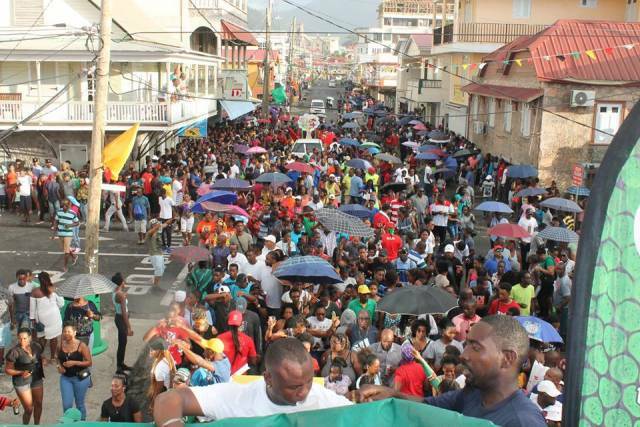 Carnival is a vitally important economic generator for Dominica and is considered the second major event on island. The combined activities ranges from: pre carnival fetes; calypso tents; pageants; traditional and old mas experiences village Scene from Ms Domnik 2018 carnivals; masqueraders and; private parties spanning from January to early March. All of the pre carnival activities will lead up to the most anticipated two days of street jump up on March 4th and 5th with: parade of modern and traditional costume bands; T shirt bands; Kiddies carnival; vintage beauties; local bands; music; food and drink galore. Local bands will get the crowds moving to the infectious rhythms of: Bouyon; Cadence; Soca and: Calypso music. Many of the nationally renowned dance troupes will provide spectacular performances as well. Dominica’s Carnival provides a platform to schools and youth groups to showcase their talents and creativity. It is a unique opportunity open to all and we welcome visitors to join in and experience the Caribbean’s Real Mas experience. The Real Mas is happening from January 19 to March 6, 2019. Destination Dominica encourages everyone to use hashtag.